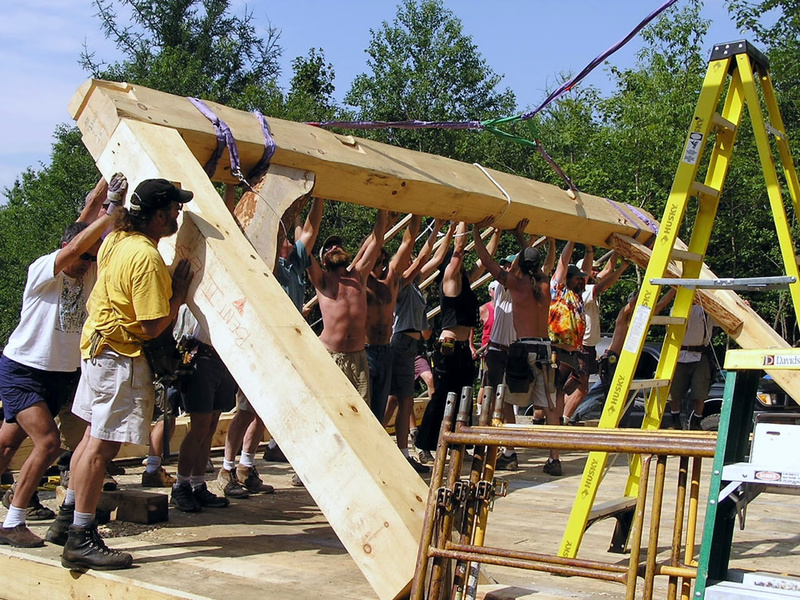 Raising day is always a day to remember. 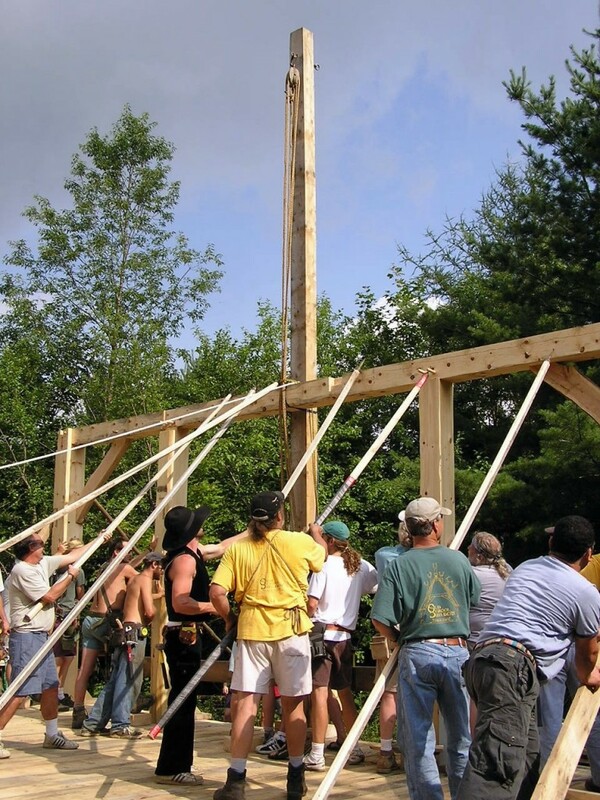 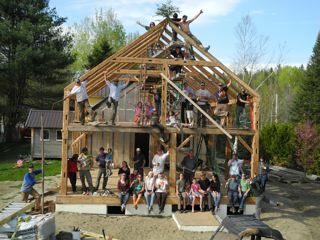 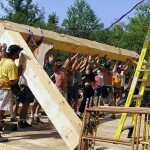 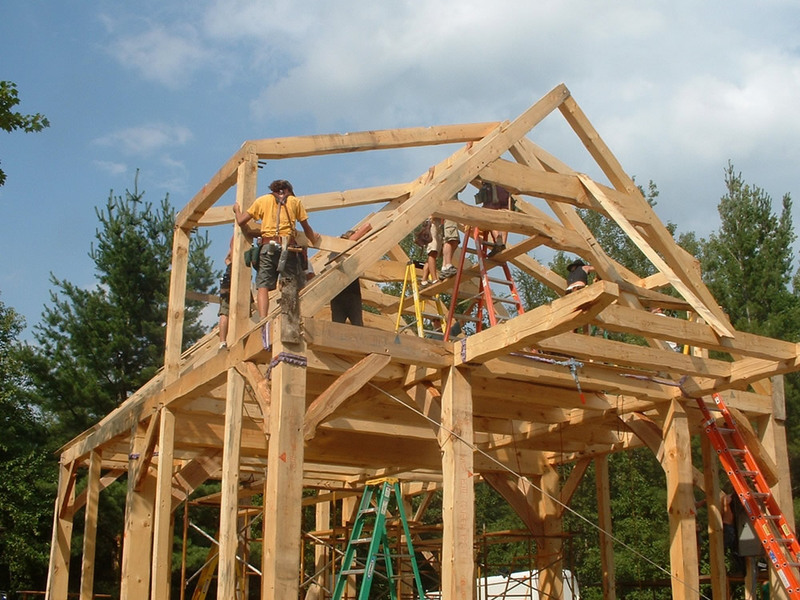 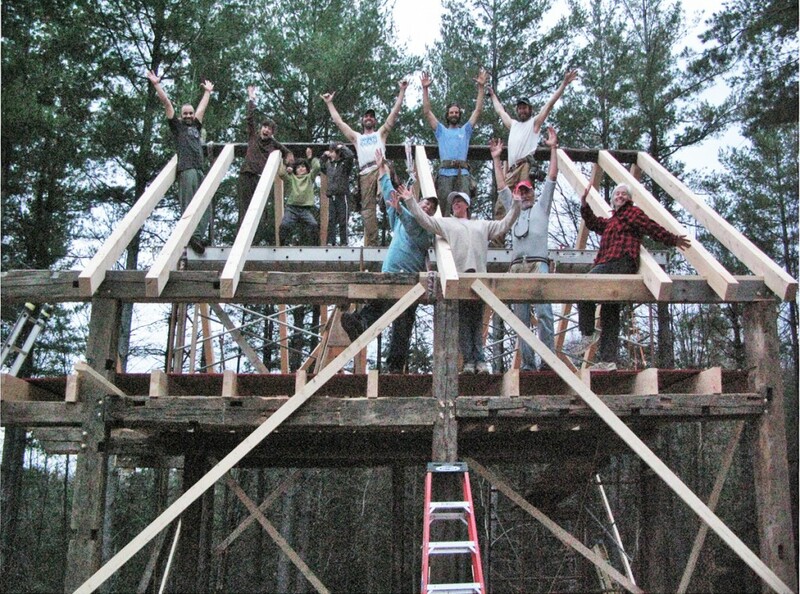 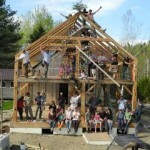 In the old days, a barn raising was always a community event, where neighbors pitched in, and sometimes we catch a glimpse of that timeless sense of camaraderie. 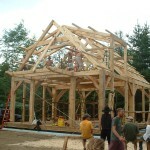 The joinery between the large solid timbers that make up the frame are all cut in the shop using many traditional methods that date back centuries. 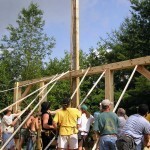 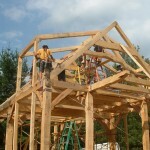 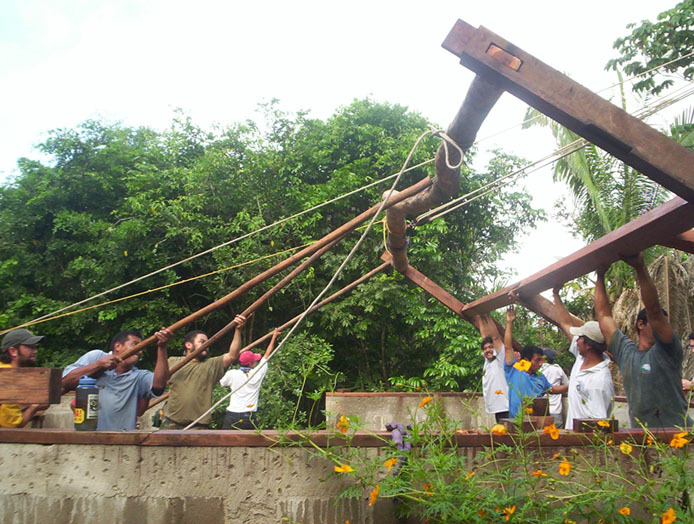 Smaller frames can be raised by hand, and larger frames call for the use of a crane. 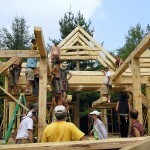 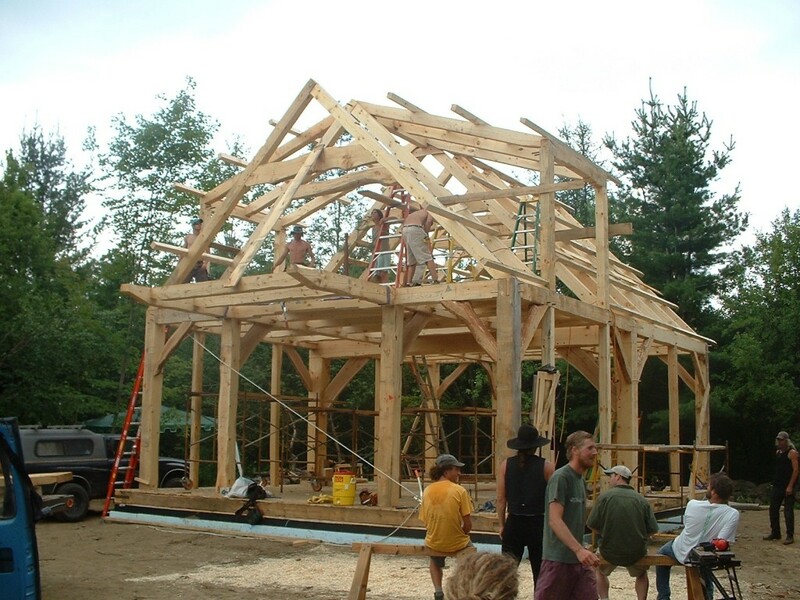 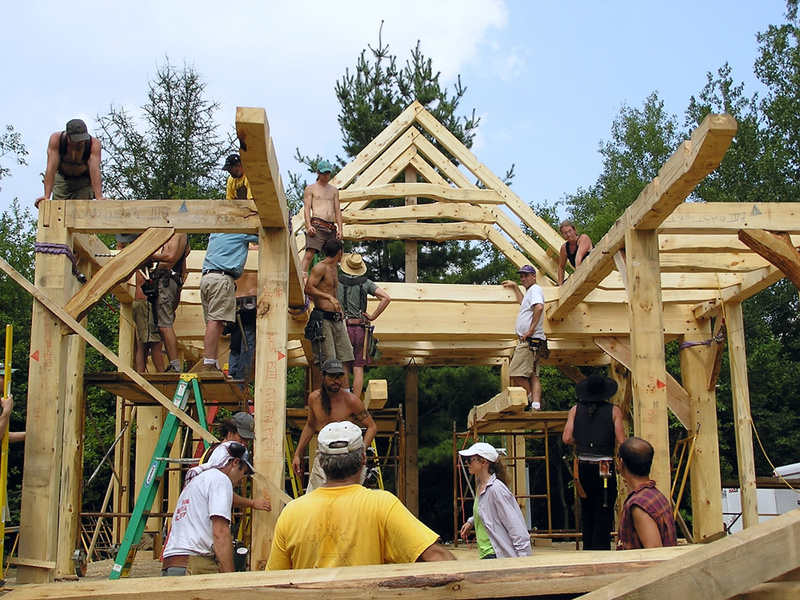 The experience is always magical as you watch each piece of the puzzle put in place, transforming a flat deck and neat piles of timbers into a solid, one of a kind building that will stand for centuries. 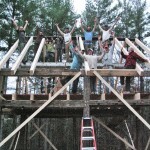 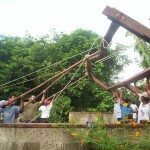 By the end of the day, the fully erected frame is a cause for celebration.